Clicknetwork did a special episode for Budget Barbie centered around Qiuting's birthday, which involved her being filmed saying where she got the items for the picnic, and for how much etc. Originally we were each supposed to pretend we got an item (e.g. picnic mat) cheaply and explain where/how etc, but thank goodness the budget pro took over haha. 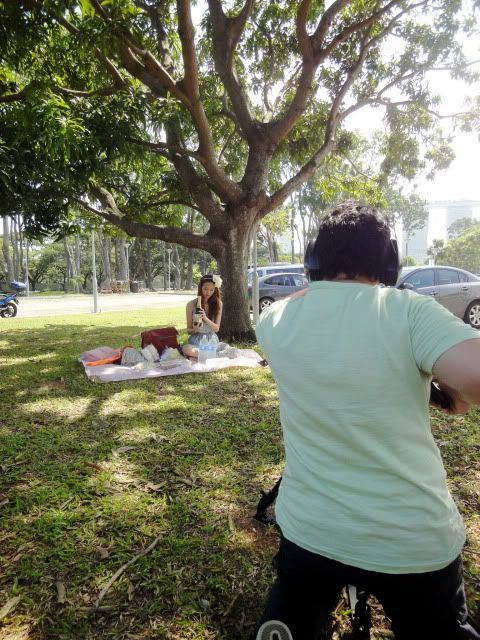 So anyway for the filming we went down to Marina Barrage which is a really popular kite-flying spot. I've never been up on the top where the kite-flying happens but... I don't really care because there's no shade at all up there or something! It was a really sunny and hot day, if we had gone up I think we'd be sunburnt now. Talking about cheap ice water haha. 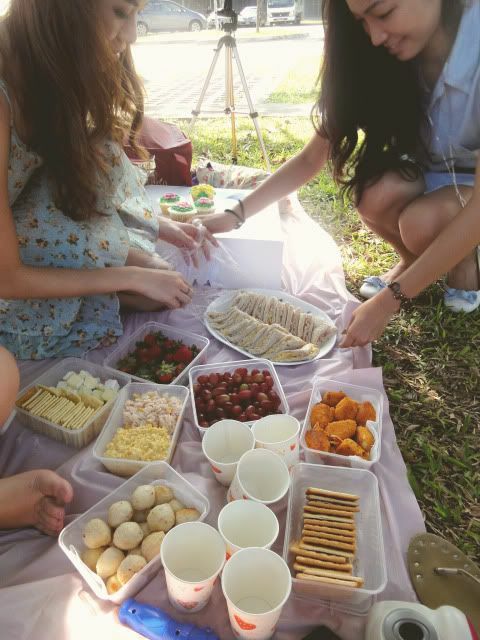 All the picnic food! Everything that is actually cooked (fishballs, egg-mayo mix, sandwiches etc) was prepared by Qiuting's friend Matthias! Qiuting only prepared the um... uncooked food (grapes, strawberries, crackers). For her own picnic. For her picnic, Matthias got up early and cooked food for it. Girls, hurry! Boys like this must faster chope!!! This picture of Qiuting is so nice! 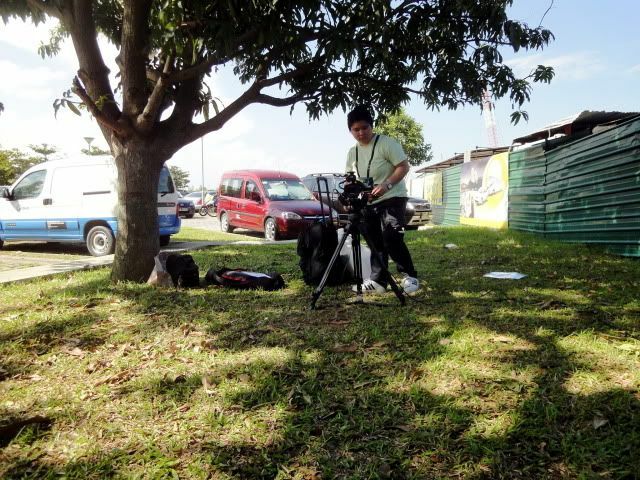 Except that the background is an ugly construction site haha. Her hair took her over an hour to curl... madness. I would never have the patience to get up an hour early just to curl my hair. Hahaha Qiuting photoshopped my nose sharper and now I kinda look like a mouse. Both Jessica and I had the idea to bring bubble blowers! :D Mine is a mega huge one that Alaric bought back for me from Malaccca. Couldn't open our eyes because the sun was just way too bright! Hahaha originally Qiuting was supposed to have an outfit change... VAIN OR WHAT. But in the end we scrapped that part of the plan because it was far too hot to do anything other than sit under the tree and eat. And swat away flies/ants. P.S. I've gotten questions about this already - my dress is from Bangkok. I'm going to Bangkok on Wednesday! :D Alaric and I bought the coupon deal for Bangkok ages ago. We had planned to go earlier but I had Qiuting's picnic and he had *cough* SC2 *cough* priorities, so we had to push it back. We had wanted to leave on Thursday instead but there were no seats available. Anyway we'll be back on Sunday! It was originally a 4D3N trip but we extended it by one night because the flight hours are such that the day we arrive is burnt (touchdown 6+pm) and the day we leave is also burnt (departure 11+am). Called my dad on Sunday to wish him Happy Father's Day and for those who may not know, we have always conversed in French. Sophie: "My French is really rusty. I was seriously struggling to explain to him the concept of coupon deals". Alaric: "Yeah I know. I didn't play SC2 for a day and now I'm rusty". Sophie: *-_-* "There is no basis of comparison here. I haven't spoken French in a month". 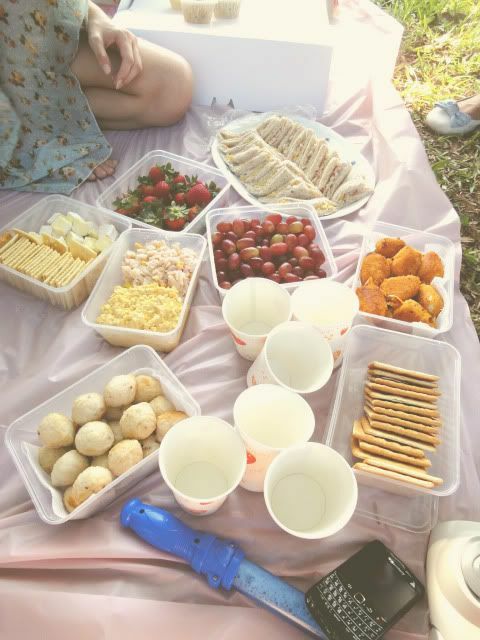 4 comments on "Qiuting's Picnic"
Isabel: Haha we actually spent the bulk of the time filming. Her headband is from TheBlogshop! Her dress also, I was with her when she got the stuff like 2 days before.